Author Timothy Zahn tells StarWars.com about taking readers behind the mask of Darth Vader and inside the brilliant tactical mind of Grand Admiral Thrawn himself. We’re finally done counting down the days until the release of Thrawn: Alliances, which brings the fan-favorite Chiss strategist back for a set of missions with none other than the Dark Lord of the Sith, Darth Vader. StarWars.com has previously revealed a few excerpts from the new novel by Timothy Zahn: An assignment from the Emperor, a look back at the first encounter between Thrawn and the man who was Anakin Skywalker, and Padmé on a mission. 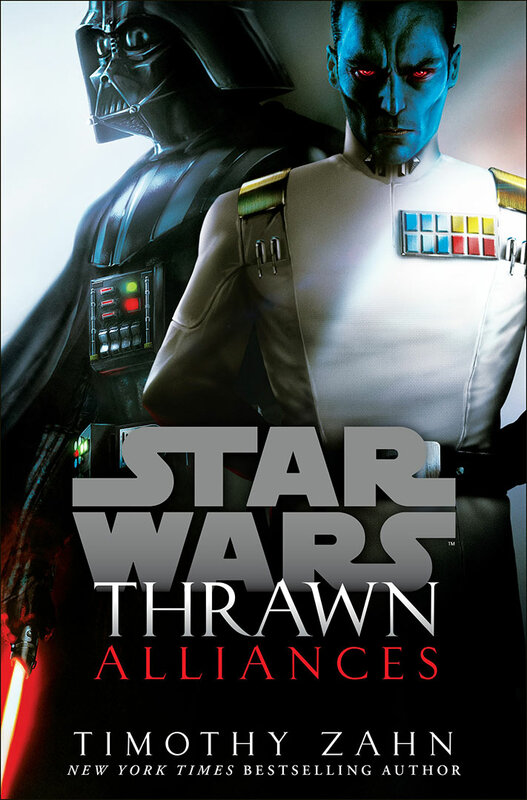 Talking recently by phone in between stops on his busy summer convention tour, Zahn, the creator of Grand Admiral Thrawn, helps us dive into the world of Thrawn: Alliances, which hits shelves today. StarWars.com: Let’s talk about Darth Vader and Thrawn – both who they are in the novel’s present and in their past. 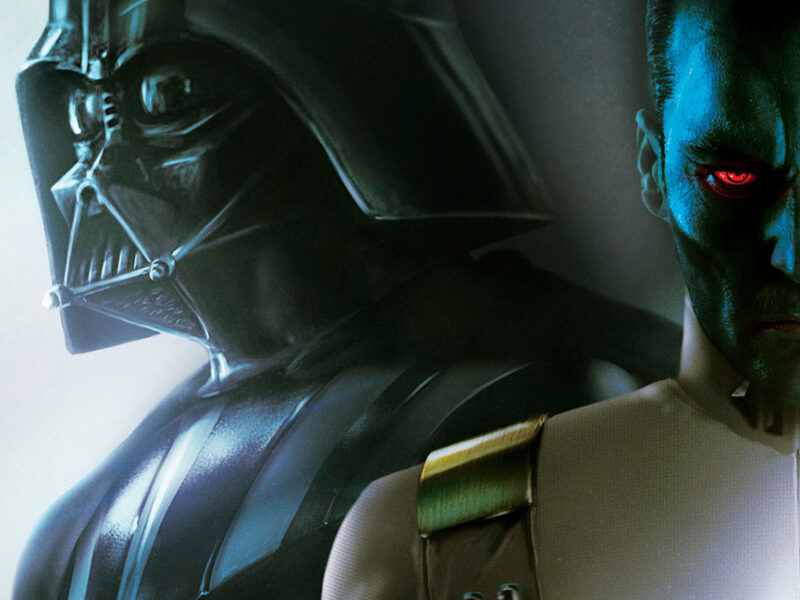 What is their relationship like as Darth Vader and Grand Admiral Thrawn? Timothy Zahn: In the present, they are not exactly adversaries, but Vader does not particularly trust Thrawn. Vader doesn’t really trust anybody, especially given that the Emperor has taken an interest in this particular grand admiral for reasons Vader may not entirely know and may not entirely trust. 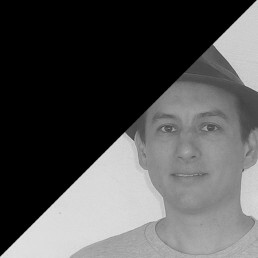 They are not going into this mission as really close allies; they are going in with reservations on both sides. StarWars.com: And their relationship back in the day, as they first worked together? 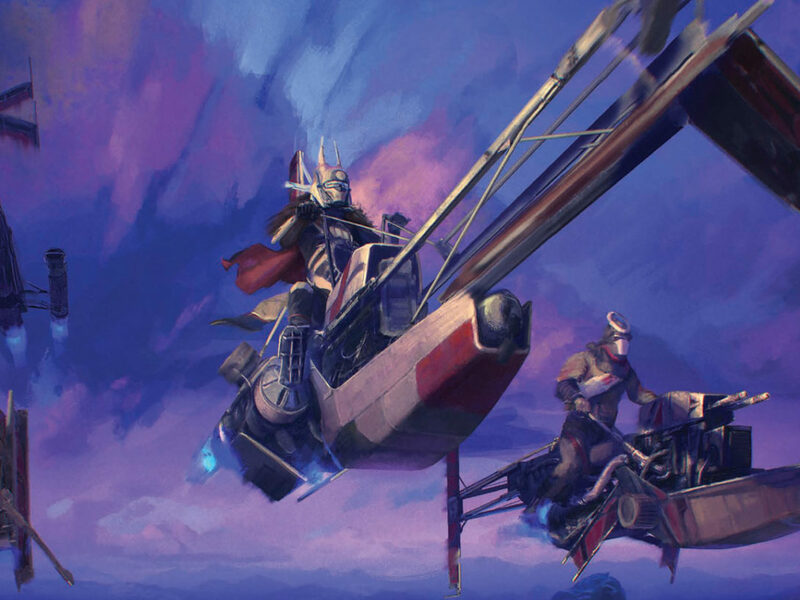 Timothy Zahn: As you see from the excerpt, it is sort of a not-last-minute, not-spur-of-the-moment, but unexpected intersection of their two lives and activities and the suggestion that they team up comes from Thrawn. So there will be a lot of mistrust, especially on Anakin’s part, “Just why is this person here? Who is he? What is he up to? Can I trust him?” With this guy showing up out of the blue, you can imagine how Anakin feels about that, but on the other hand, he’s also smart enough to know that assistance at this point would probably be more useful than it would be risky. Of course, Anakin has a fairly high opinion of his ability to handle anything that comes his way. StarWars.com: As your story switches back and forth from The Clone Wars era to the Rebels era, what’s it like getting into the characters’ heads at these different points in their lives: from Anakin Skywalker, Jedi General, to Darth Vader, the Emperor’s right hand man, and Mitth’raw’nuruodo, of the Chiss Ascendancy to Grand Admiral Thrawn of the Empire? Timothy Zahn: It was interesting to do the parallel stories of the two times these two men worked together — the differences, the similarities, putting something into the past that would show up in the future. There is a fair amount of distrust from Anakin/Vader, but Thrawn is pretty much Thrawn. He’s got his agenda; he knows what he’s looking for – piecing together the puzzle while making sure he’s not going to be Force choked. It’s in many ways two different puzzle box stories with our protagonists having to sort things out as the reader gets to sort things out. StarWars.com: I would imagine this is Thrawn’s first encounter with a Jedi or with Force users? 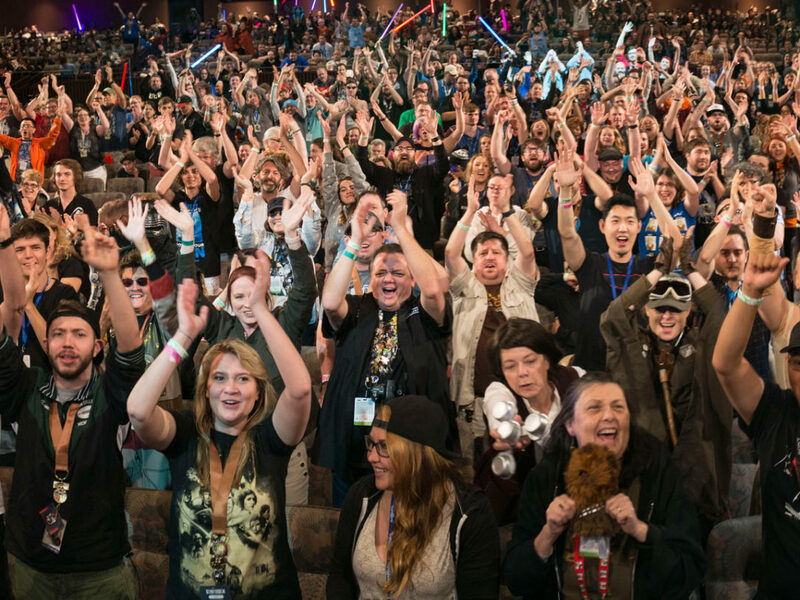 Timothy Zahn: With Anakin? I believe so. This is probably the first time. However, as you see in the book, Thrawn doesn’t seem that surprised by Jedi abilities. We also don’t know the extent of Chiss intelligence work in this era — how much they’ve been observing the Republic and now the Empire. It’s very possible, that even if he hadn’t officially run into Jedi yet, he would know enough about them to not be surprised by Jedi ability. 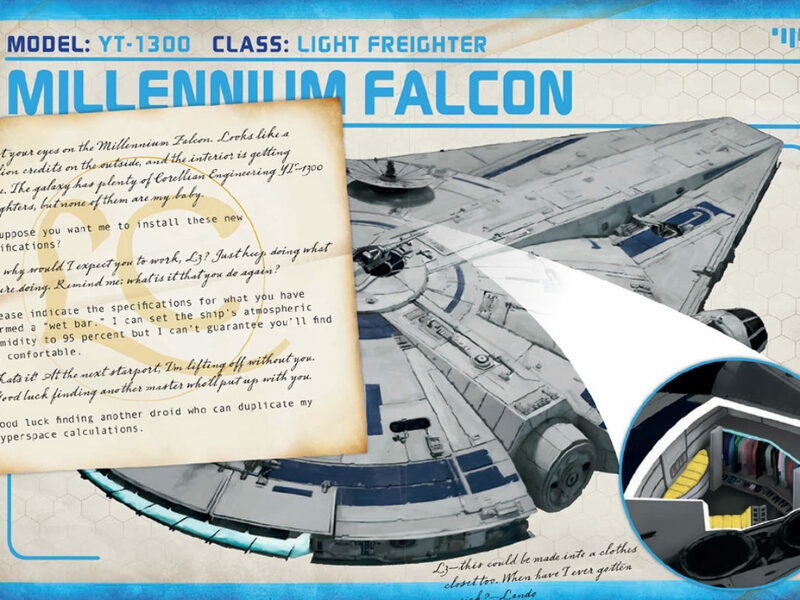 StarWars.com: One of the tidbits that surprised readers of the first excerpt was that the place where the Emperor sends them is Batuu, from the upcoming Star Wars: Galaxy’s Edge theme park attraction. What was it like working with this new planet? 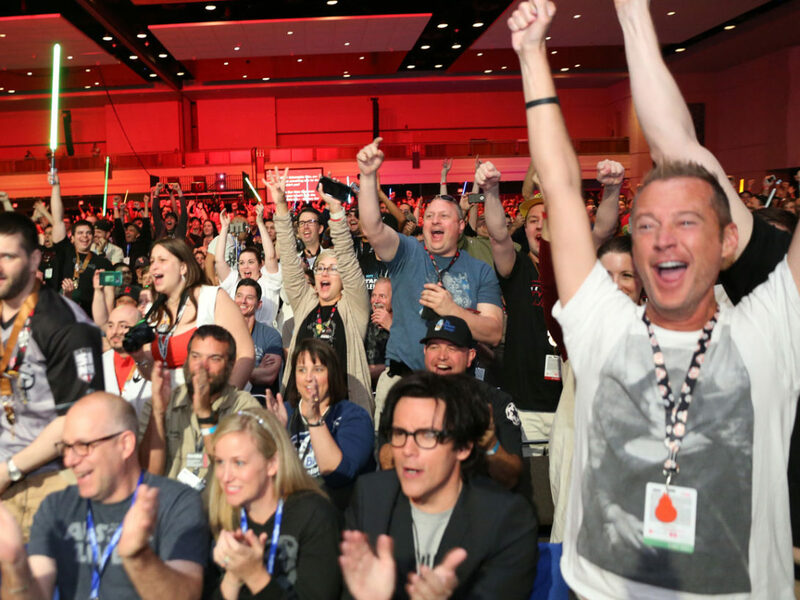 Timothy Zahn: Oh, it was a lot of fun. I was getting a lot of still shots and descriptions of the Galaxy’s Edge part of the park for Walt Disney World and Disneyland, so I was able to incorporate things from that into the book. Now, I’m writing in a different era, so I don’t have to do any really detailed stuff. But if you see a town or a city that is like, you know, New York or something, in the ’30s, it’s going to be similar to New York in the ’50s. The buildings will change, the people will obviously change, but a lot of the same feel will still be there, and I was trying to add some of that into the book. I would like to go back to Batuu in future books, spend a little more time there and explore it, maybe need to leverage a trip to Galaxy’s Edge before it opens — hint, hint! Purely for research purposes, of course. StarWars.com: And, of course, I’ll need to accompany you to properly cover this for StarWars.com. You get to depict Batuu at what will be probably one of the earliest times we will see it in Star Wars, during the Clone Wars. 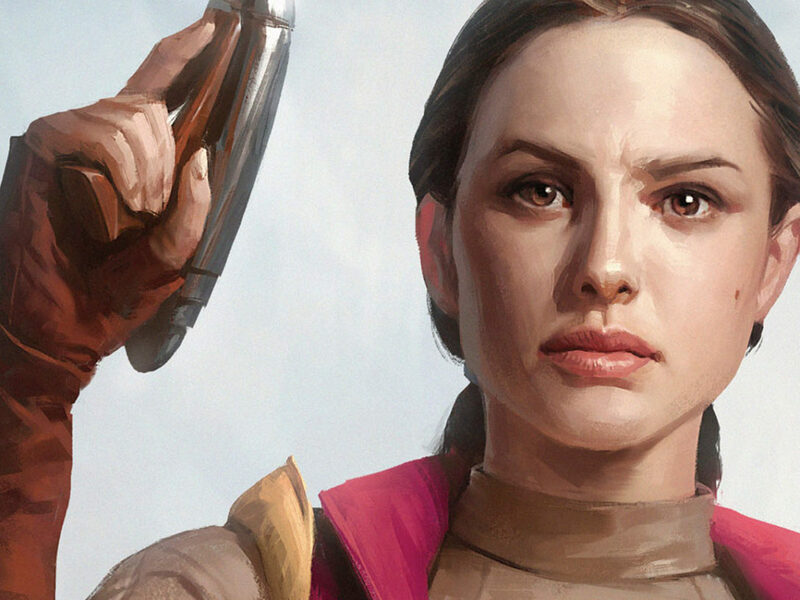 In this time, Padmé is missing, having gone after one of her handmaidens sent on a mission. Let’s touch on that. Timothy Zahn: I can [say] that this will not be a story about Anakin and Thrawn rescuing her as a helpless female. I know better than that because Padmé is much more than that. She is a major protagonist in Thrawn: Alliances and pulls her weight, as she usually does during the Clone Wars as we saw in episodes of the series. We’ll talk more about Padmé next time! StarWars.com: With Anakin in the mix, she’s always pulling her weight. One of the things that came out of the first excerpt was the Emperor wanting to test the allegiance of both of his top men and what other loyalties they might have. Tell us more about Palpatine’s game. Timothy Zahn: Palpatine is driven by this disturbance in the Force that he has sensed, and we will get a payoff on that. In some ways, it’s opportunistic – he senses this disturbance and he’s having questions about Thrawn’s loyalty, but he also knows that Vader as Anakin also dealt with this region of space at the end of the Clone Wars. So he has a good reason to send these two together – throw them into the mix and see how they react, see how they do with each other, and test the loyalty of Thrawn and any lingering memories or doubts within Vader. How much of his old self is still in there is something the Emperor would definitely want to know. The chance to poke his memories could be very instructive. StarWars.com: Speaking of wanting to know, how much does Thrawn know about the identity of Darth Vader? Timothy Zahn: I imagine that Vader’s identity is one of the deepest, darkest secrets the Empire has. Certainly, it would not be something that would have been revealed to Thrawn. Whether he can determine it on his own, we will find out. StarWars.com: It’s interesting that you have them working in parallel, but only one of them may know that they’ve done this before. Timothy Zahn: Yes. Of course, Thrawn’s observational abilities will be hampered by Vader’s armor, face mask, and filtered voice. A lot of his techniques for reading people will be limited here. On the other hand, Vader and Anakin really aren’t all that great at reading Thrawn either, so it’s kind of a balance. StarWars.com: It helps to have a Chiss mind that you can’t crack the same way one might understand the thinking of a more common species. Timothy Zahn: I like the image I came up with for Anakin trying to peer into Thrawn’s mind – an ordered array of numbers but you don’t know what the numbers are. 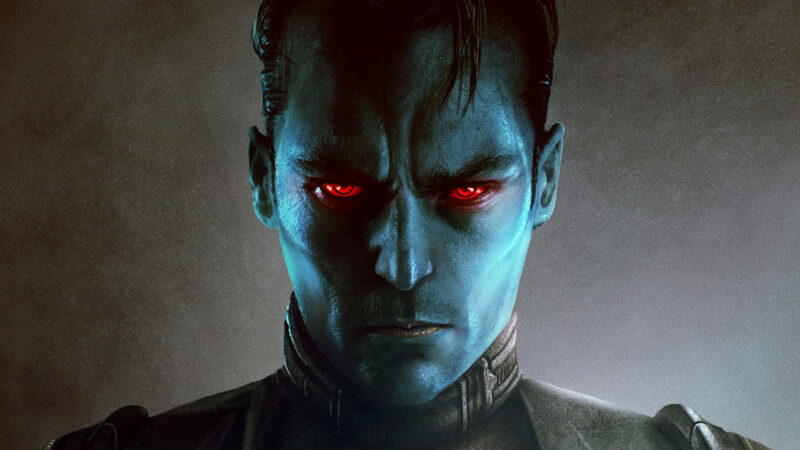 StarWars.com: That was a cool description on how brilliant and alien Thrawn’s mind was. One of the other things that was mentioned in the excerpts is the tension between the two of them over how to focus the Empire’s resources. Vader is a proponent of the Death Star with Grand Moff Tarkin and the Emperor, but Grand Admiral Thrawn would rather see his TIE defenders in widespread use instead. What is that balance of these two jockeying for position? Timothy Zahn: Mostly, that’s behind the scenes. It is touched on in Rebels season four as well, that even the Empire has a limit on their resources, and as you point out, there are factions that like “Bigger is better” with Death Stars and Super Star Destroyers, etc., and there are factions like Thrawn that recognize that starfighters are equally useful, and in many ways, even better. There’s an old analogy, would you rather dodge a semi or fifty Volkswagens? Interestingly enough, as Vader is pushing for the Death Star, helping with Tarkin, we also have Anakin as a starfighter pilot. So at some level, Vader can see both sides of the argument. He even has his own special TIE, but on the other hand, he is supremely loyal to the Emperor, and the Emperor clearly wants the Death Star. 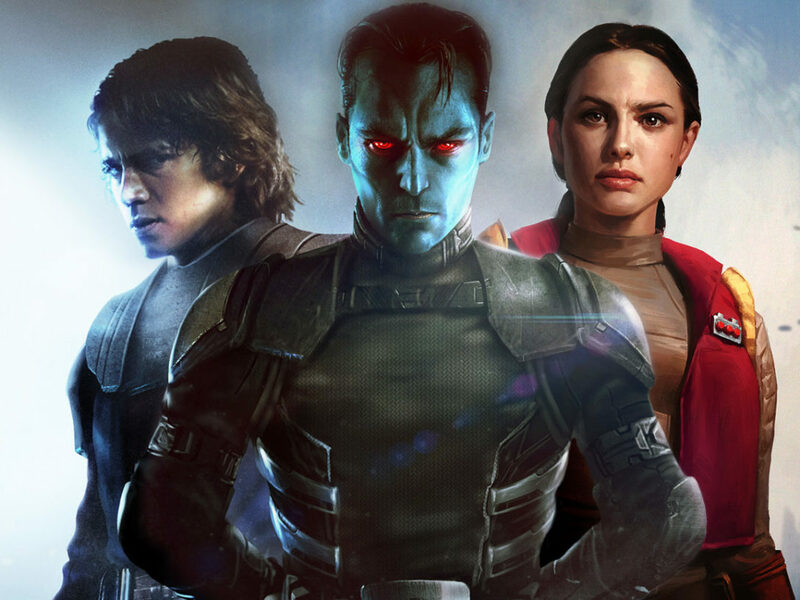 Thrawn may be the only senior-level person willing to buck the general consensus of “Whatever the Emperor says is good with us.” He is willing to take a stand to say that they need to divert some of their resources here, because it will be at least as important, if not more so, in the coming battles against the rebels. StarWars.com: What do you think the main difference in the way that Anakin/Vader approaches the world and the way that Thrawn does? One uses their Jedi skills and feelings, and the other has deduction and logic. Timothy Zahn: That’s a good way of putting it, yet there’s also the fact that Thrawn knows things about the Unknown Regions that Anakin and Vader don’t. He knows some of the threats that are out there, what exactly is happening. We had a fairly lengthy discussion with the story group about why the Unknown Regions are so unknown. We’ve been traveling the galaxy for thousands of years, how come this area is so unpenetrated or at least not well defined. We’ve come up with a few possible explanations at various points along the border as to why this region is hard to get into. Thrawn knows more about that than Vader or Anakin do, and again, he has a long-term agenda that he keeps in mind whatever else he does. Certainly in this book, there is more of a reaction from Anakin – here’s the situation, and here’s what we have to do to resolve it. Whereas Thrawn is doing that but also thinking long term. StarWars.com: You mean the Unknown Regions is not simply a clever tourism slogan to get people interested in going out there? StarWars.com: And come visit the Unknown Regions – we’re totally exotic and unexplored! We’ll take your money. StarWars.com: One of the popular aspects of the previous novel, Thrawn, was the character of Eli Vanto and having him not only be a full character but also play the role of Watson to Thrawn’s Sherlock Holmes. How do you see any characters filling that similar Watson role in this book? Anakin or members of Thrawn’s crew? Timothy Zahn: Anakin and Vader both get the benefit of Thrawn’s deductions and they get to see how they all work. Neither of them is at the same level of teachability that Eli was. We also get a little bit from the commander of the Chimaera, Commodore Faro, who has been with Thrawn for a long time. While we’re not watching the full character arc with her the same way that Eli Vanto had, we will be seeing Thrawn nudging her towards conclusions – “Here’s the data, what do you see?” type of thing. This story takes place over maybe a week or two in each part of the timeline as opposed to the Thrawn novel which spanned over several years, so we don’t have nearly the time for a character arc of that sort. But there will be hints of that. Thrawn showing his allies and commanders how he is doing things, so the reader will get to ride along as well. 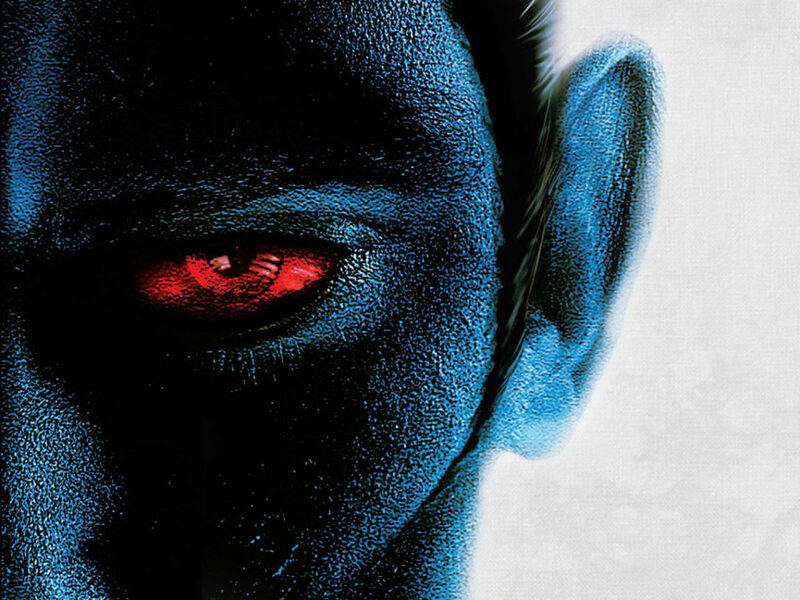 Thrawn: Alliances is on sale now in hardcover, ebook and audiobook. If you missed seeing Timothy Zahn at San Diego Comic-Con this weekend, he will also be attending Michigan Comic Con (August 17-19, Detroit), Dragon Con (August 30 – September 3, Atlanta), Necronomicon (October 19-21, Tampa) and Supanova (Nov 2 – 11, Adelaide and Brisbane, Australia).